Star Wars x Globe Platinum Night! 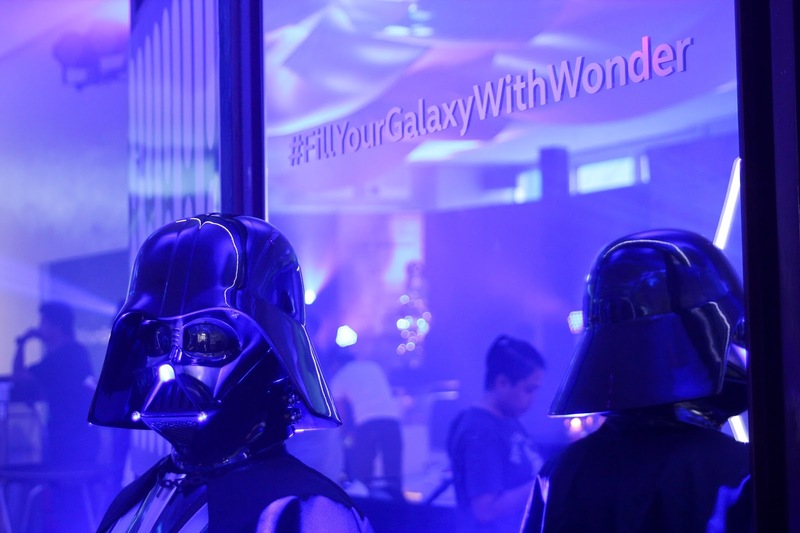 As the Star Wars fever in the country heats up in time for the much-awaited release of Star Wars: The Force Awakens, Globe Telecom held a thanksgiving celebration for bloggers and social media influencers with a galactic theme powered by Globe Platinum Broadband that paved the way for fast and seamless connectivity of up to 1Gbps internet speeds. 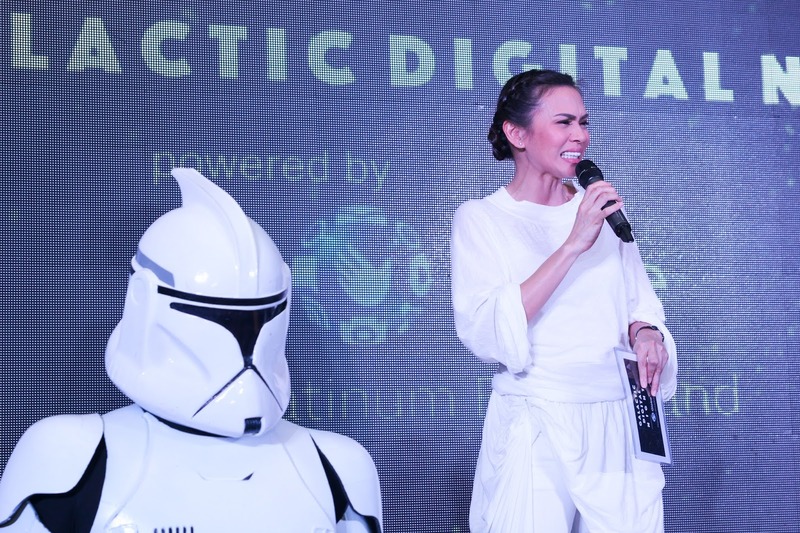 Digital icons and mavens gathered at the Luxe Residences in Bonifacio Global City in their Star Wars-inspired attire. 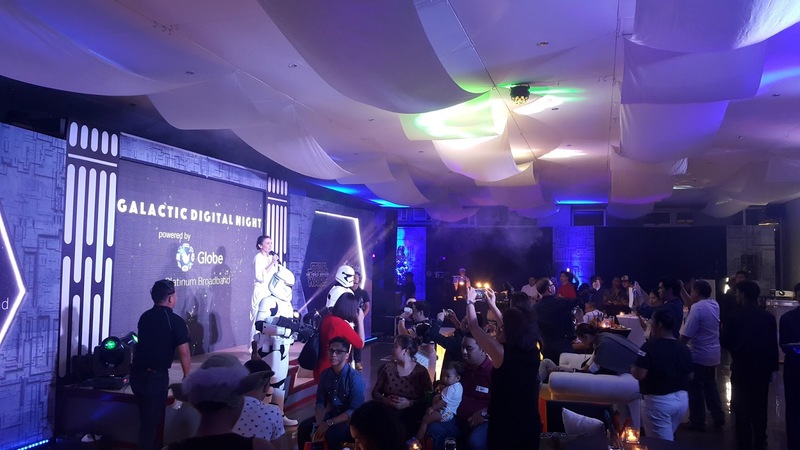 Host Issa Litton came in her Princess Leia attire and welcomed the bloggers and influencers and thanked them for their immense support to Globe. Senior Advisor for Consumer Business Dan Horan, who came as a Jedi, recognized the digital community’s contribution in using their blog spaces and social media accounts to amplify the telco’s innovations, offers, and company milestones. “Tonight, we give you our utmost thanks and gratitude for all your support to Globe and all our brands. You have helped us become the number 1 mobile brand in the country today by amplifying and publishing our innovations, new services and offers, and new experiences that help shape the Filipino digital lifestyle on your social media channels and blogs, so for that, we thank you for being Ka-Globe and being part of the Globe family,” said Horan. Over 100 bloggers and influencers participated in games such as Trivia Night with questions everything about Star Wars, as well as won Star Wars gift items and prizes from raffle activities. Special prizes were given out to Best in Costume, Photo of the Night, and Dubsmash of the Night awardees, with uploads powered by Globe Platinum Broadband’s fiber-fast speeds of up to 1 Gbps. To cap off the event, international DJ Italo Laurenthie provided the entertainment that sent all guests to party mode all throughout the night. 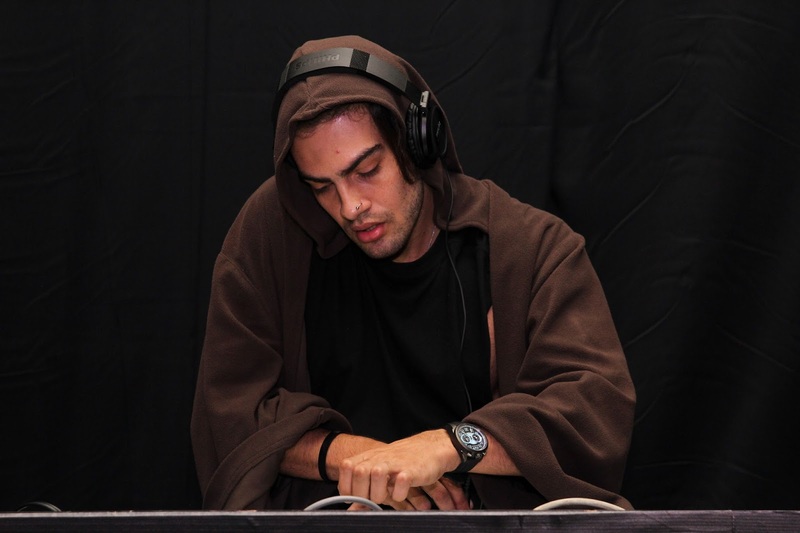 Surprises in galactic proportions continued as Globe also revealed its latest event invitation for the Globe and Star Wars Galactic Celebration on December 12-13, 2015 that night, touted to be the most exciting weekend of the year yet. With the Galactic Celebration, Globe transformed the Bonifacio High Street Central amphitheater into a big Star Wars playground - from game booths, life-sized displays, to Star Wars-themed fashion and retail items, up on display. Both days were packed with activities that kept everyone entertained for the whole day! The Globe-Star Wars BGC Weekend was open to all Star Wars fans and onlookers alike for free. Fans also got the chance to win unique Star Wars collectibles with the Star Wars Everyday Promo. Major prizes include a Star Wars adventure in the U.S.A., exclusive movie invites, Star Wars items, and a whole lot more! All they have to do to subscribe is to text FORCE and send to 2363 for free. Customers can earn raffle entries by availing of any Globe or Tattoo promo or plan. Every P5 is equal to 1 raffle entry. Last November, Globe launched its collection of Star Wars digital connectors and accessories including Darth Vader and Storm Trooper car chargers, Star Wars character flash drives, phone cases and power banks that are all exclusively available in Star Wars-themed Globe GEN3 Stores. 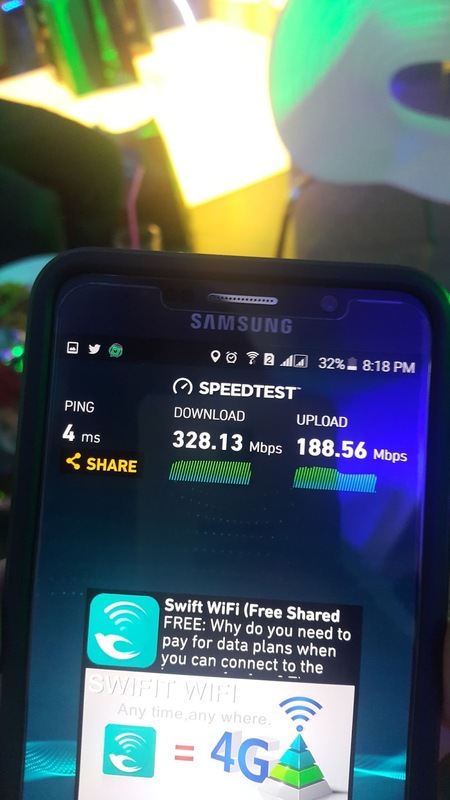 At the Galactic Digital Night, Globe also reinforced its new roster of home broadband plans powered by fiber-to-the-home (FFTH) technology, providing customers the fastest fiber connection speeds at home now available at a more affordable price. The offering of a more aggressive home broadband portfolio also forms part of the telco’s efforts to uplift the state of internet services in the country by giving customers access to a faster internet experience with lower monthly service fees (MSF). With the new Globe Platinum Broadband Plans, home broadband customers can enjoy a broadband plan with internet speeds of up to 50 Mbps at Plan 2499, 100 Mbps at Plan 3499, 200 Mbps at Plan 4499, 500 Mbps at Plan 7499, and 1 Gbps at Plan 9499. 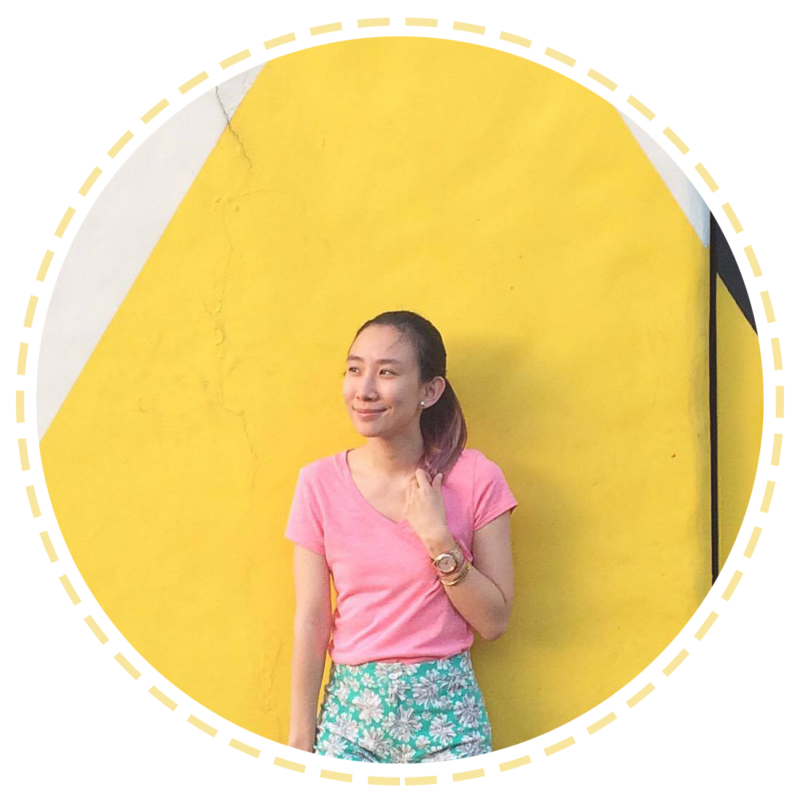 All plans are bundled with free access to Spotify, NBA League Pass, and HOOQ. Aside from fiber-fast connectivity, Platinum Broadband customers also get access to exclusive perks and privileges such as a dedicated Platinum Relationship Manager, dedicated Platinum Hotline, and Concierge assistance. To know more about Globe Platinum Broadband Plans, visit https://www.tattoo.globe.com.ph/. To learn how you can win more Star Wars premium items, visit http://www.globe.com.ph/surf/promos/star-wars/star-wars-everyday.